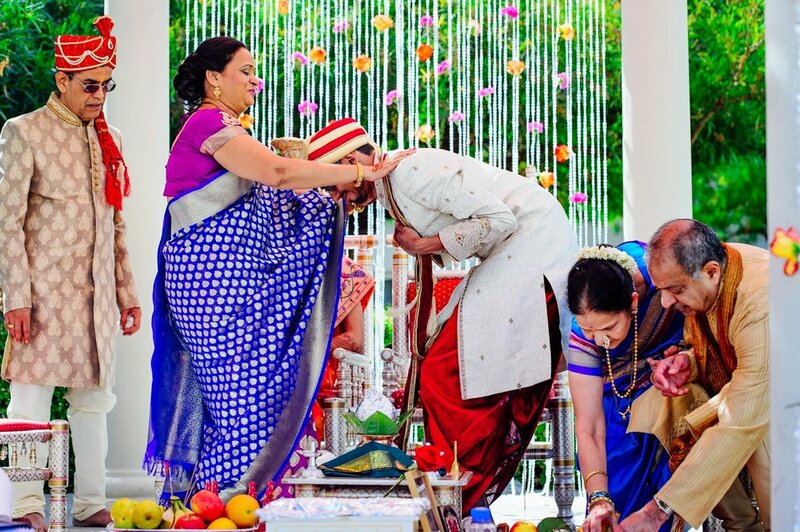 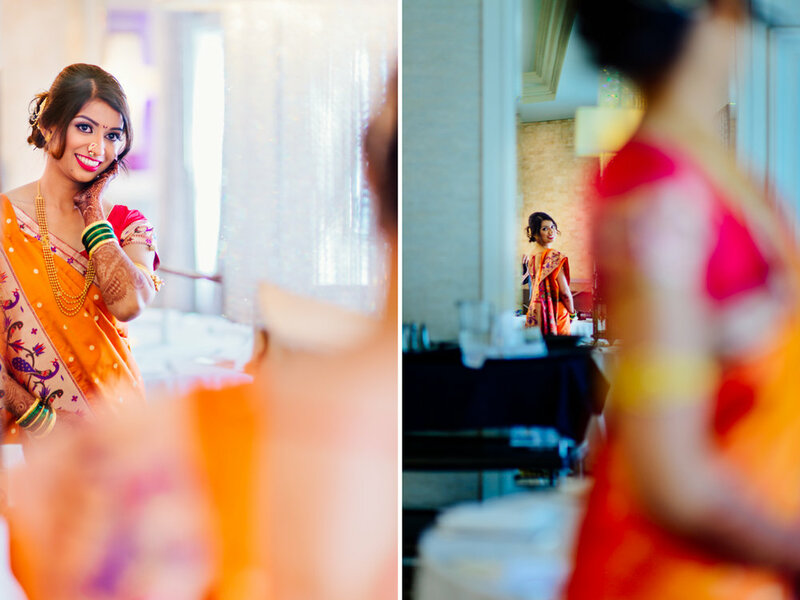 Its our pleasure to share the beautiful wedding of this lovely couple, Mugdha & Rishi. 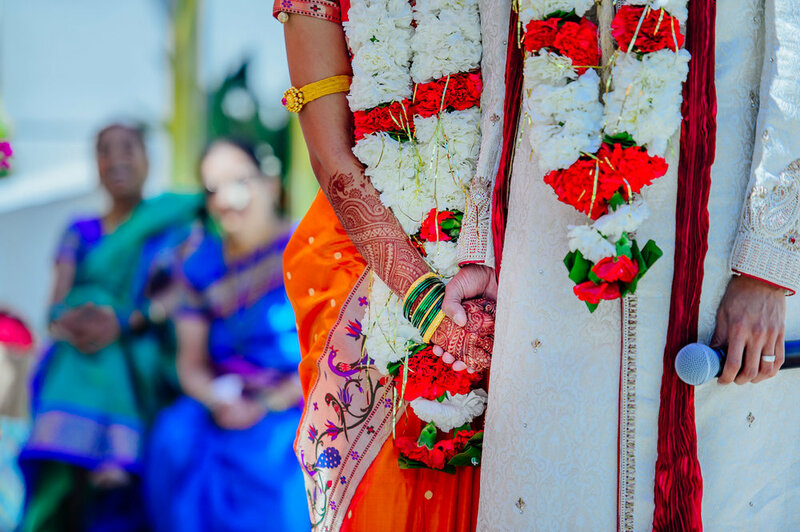 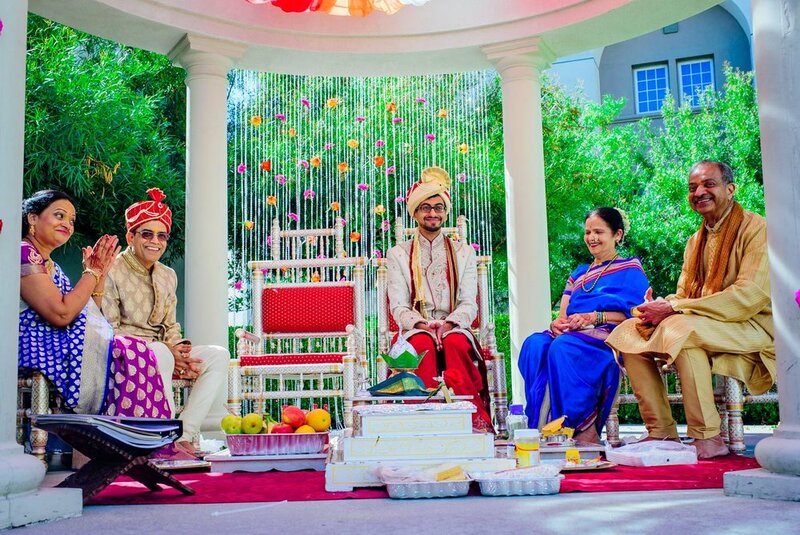 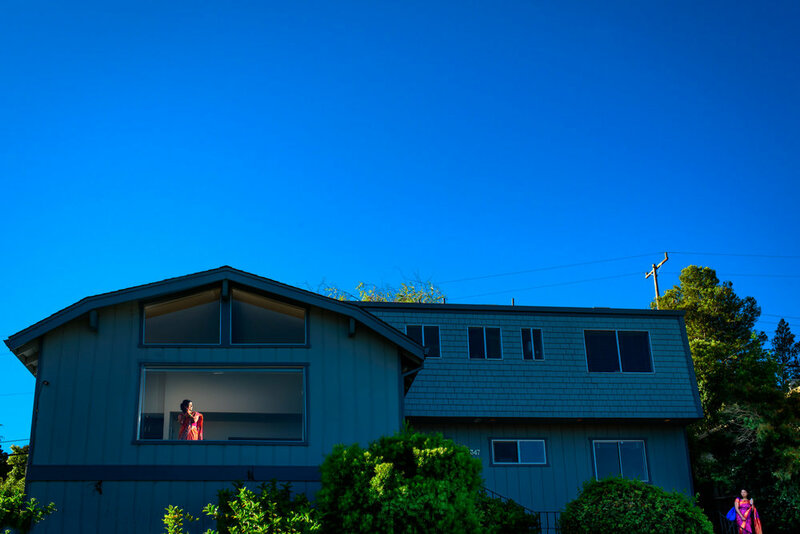 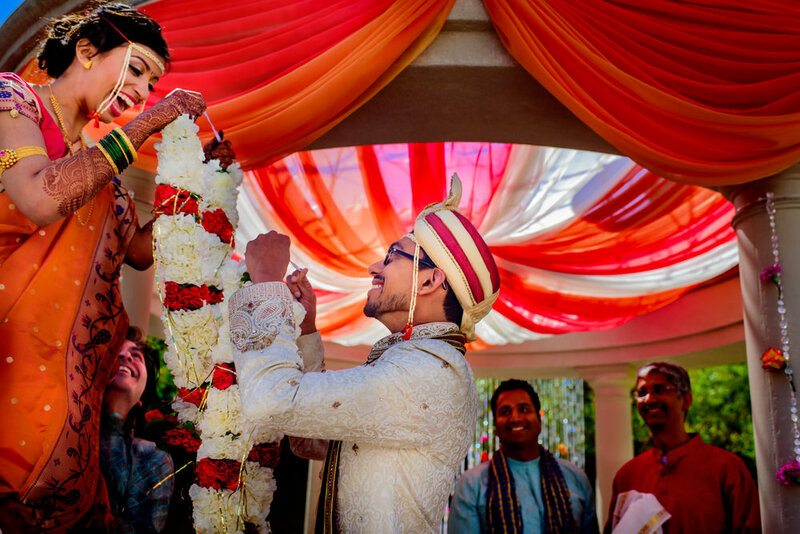 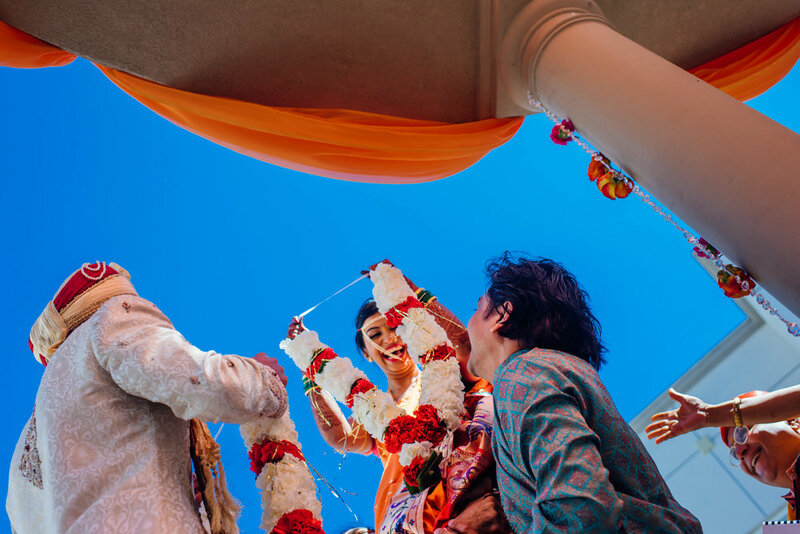 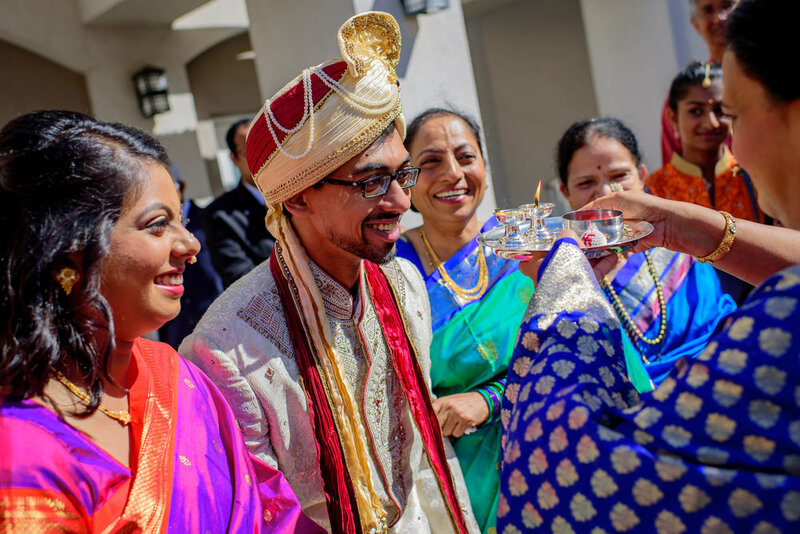 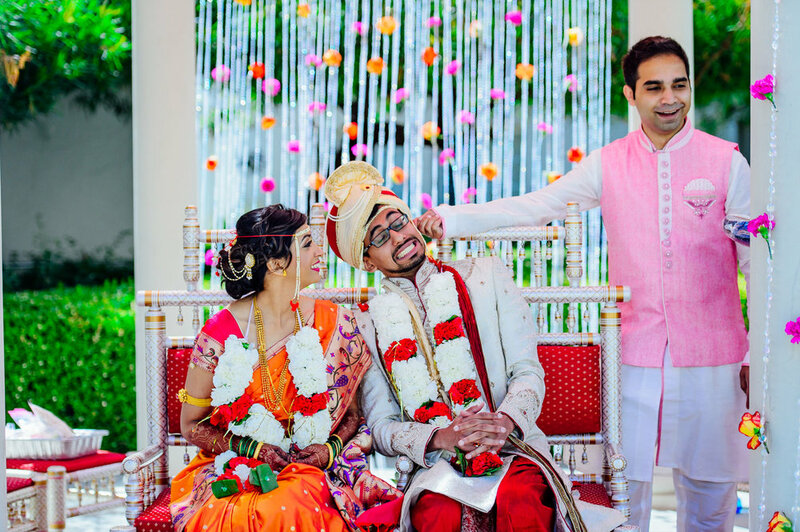 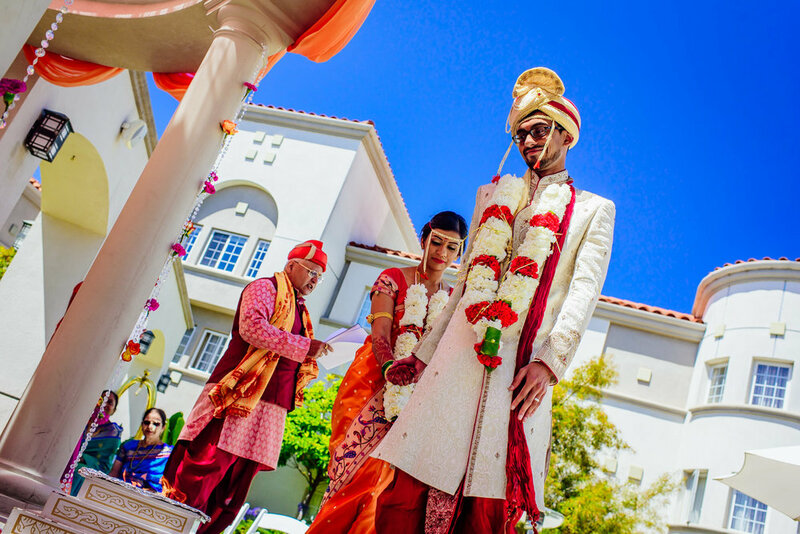 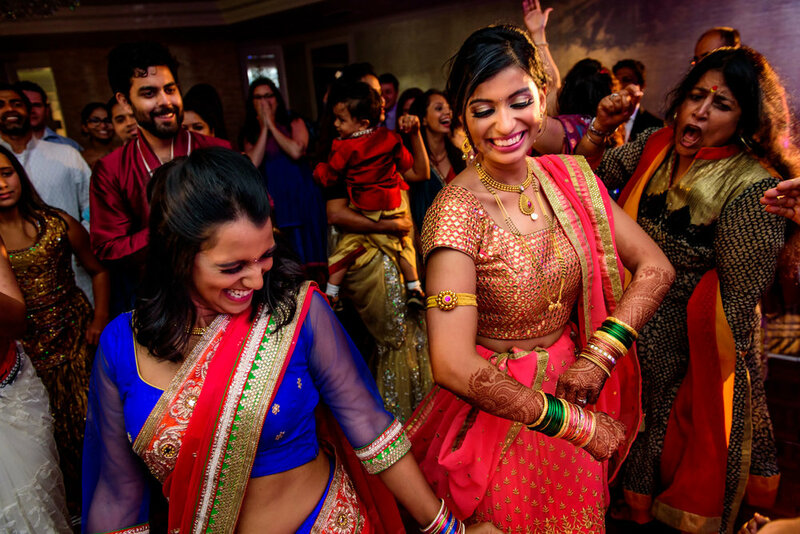 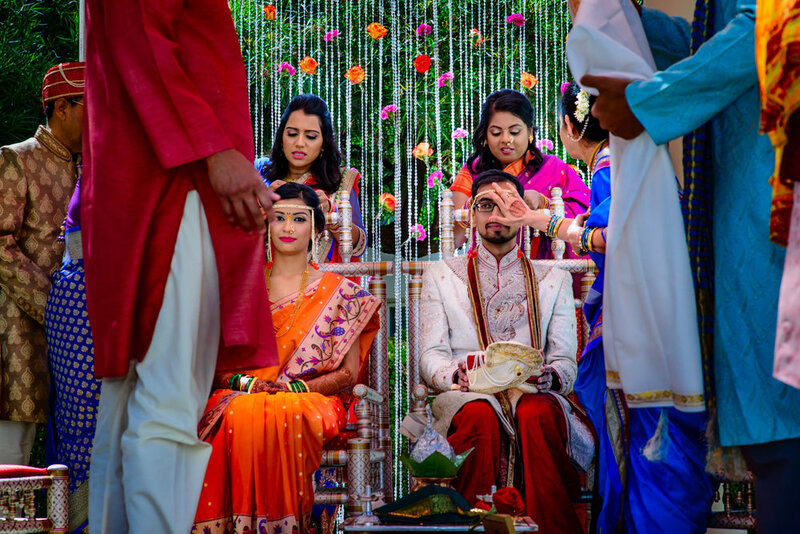 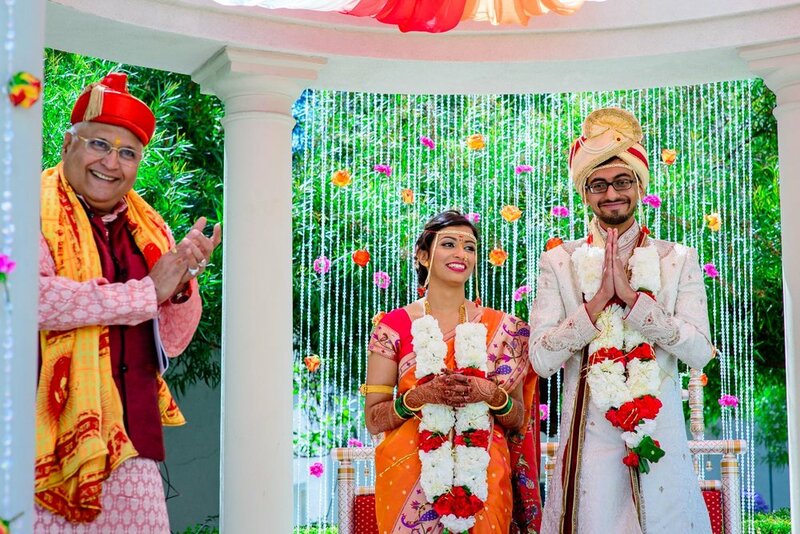 This wedding was hosted at San Mateo Marriott, which with its convenient location and ample facilities of South Asian Weddings, has become very popular for Indian weddings. 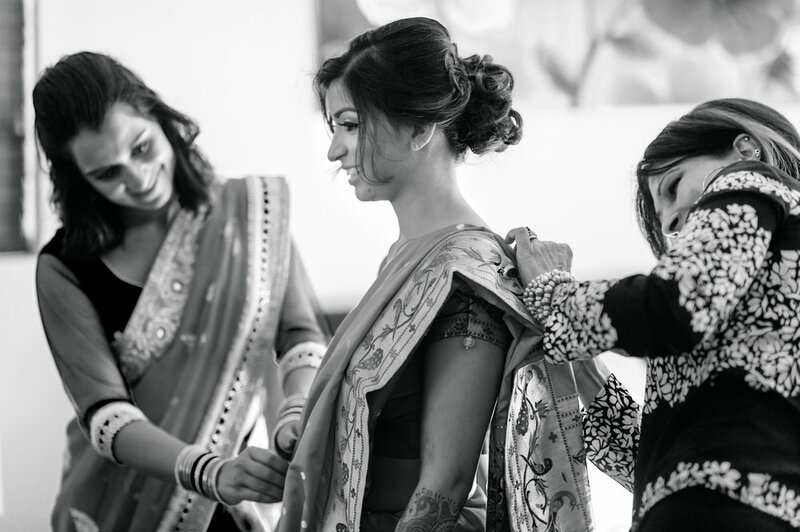 We started with the getting ready pictures of Mugdha and Rishi followed by some family and couple pictures and then the ceremony. 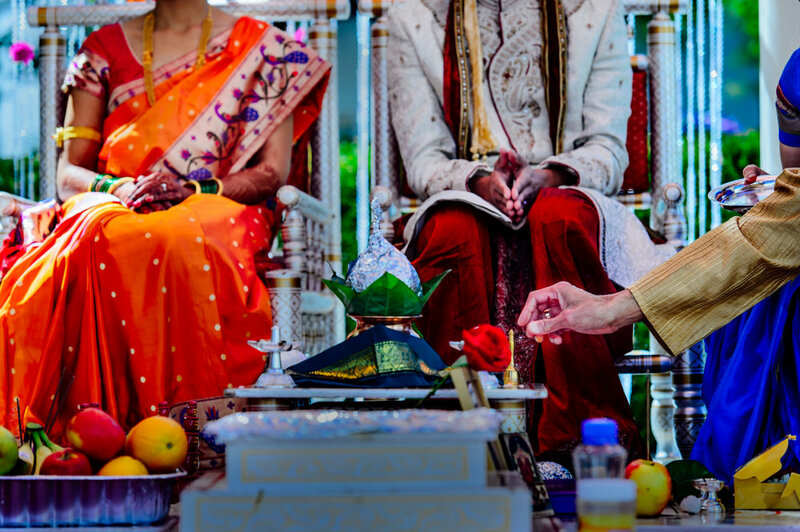 One of the highlights of the ceremony was the great sense of humor of the officiant (priest) Pt. 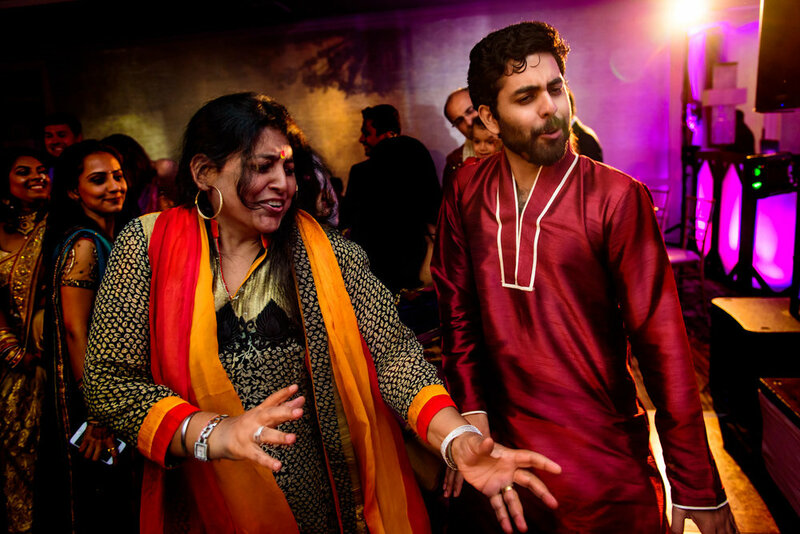 Vilas Thuse, which made it very lively and interesting for the whole time. 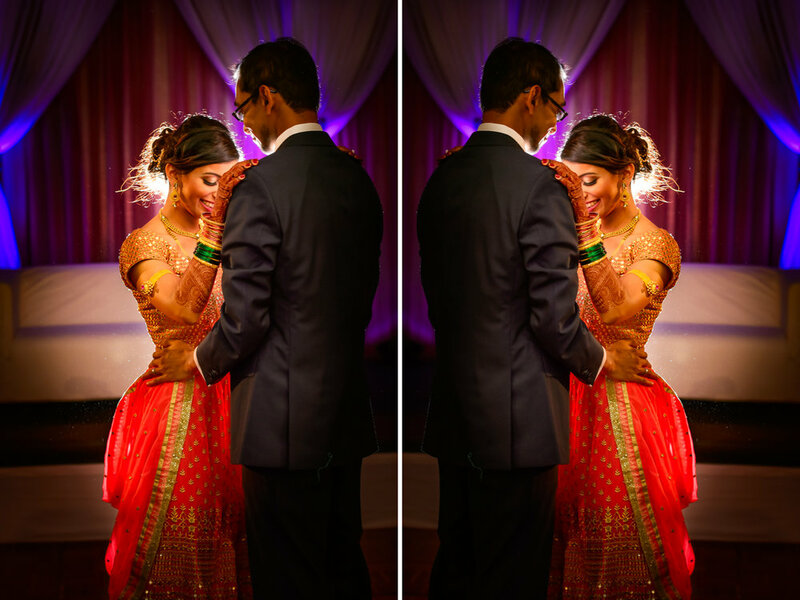 Mugdha looked beautiful with hair and makeup by Aman Verma from DesiDiva Studio.The ceremony was followed by a lunch reception where DJ Salim made sure noone skipped the dance floor. 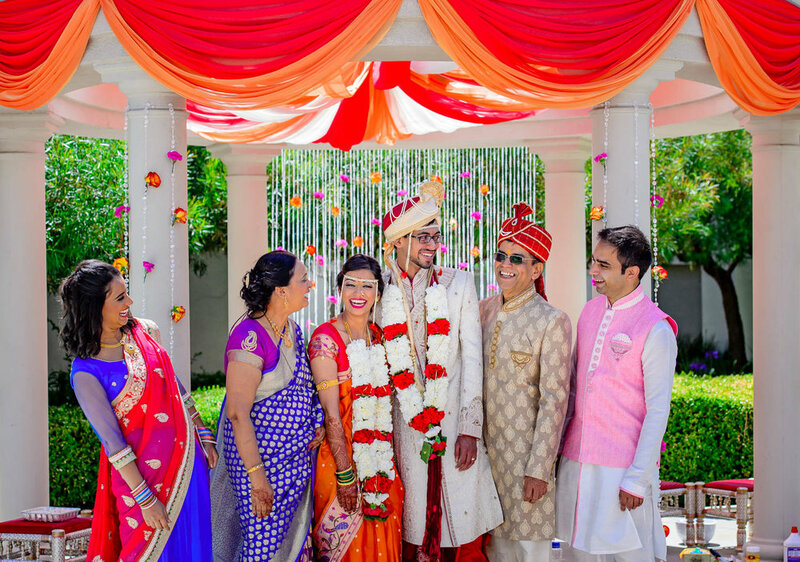 We loved grabbing couple shots around the beautifully Mandap & decor setup by Avasar Mandapl. 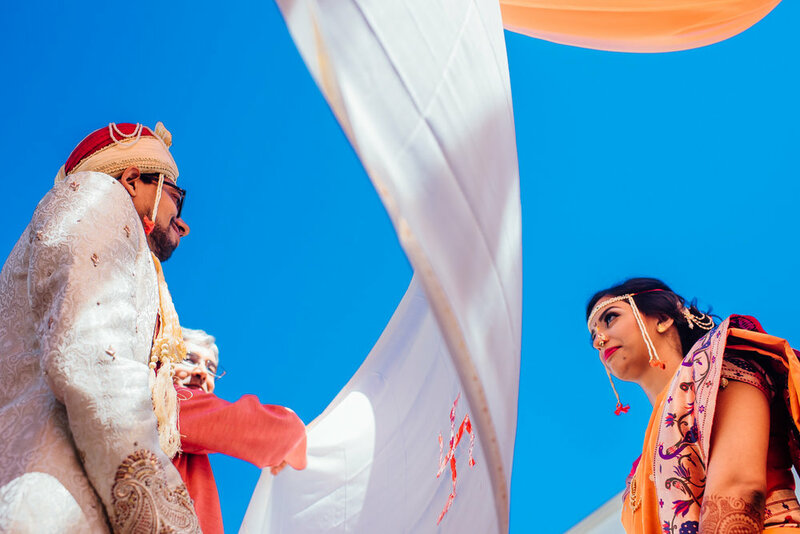 Also looking forward to the video highlights from Tien at Fusion Moments. 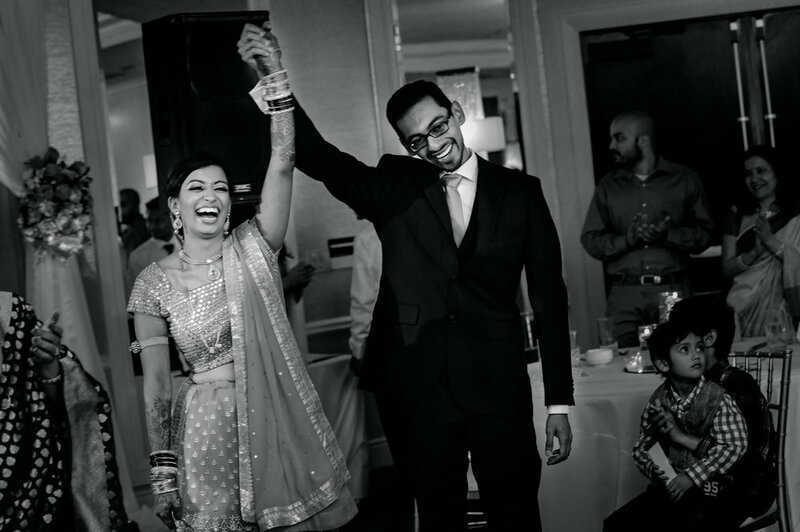 Sharing some moments from this wedding here. 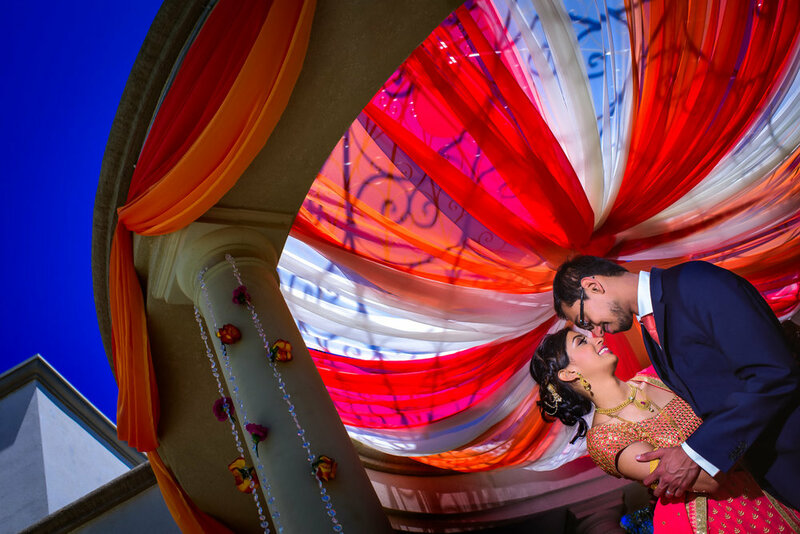 Thanks Mugdha & Rishi for having my team as part of your celebrations.